We’ve recently added new benchmarks and results for F1 2011 and FIFA 12 into our system database. While the game from developer EA Sports proved to be quite similar to its predecessor in terms of performance, the racing game from Codemasters will stress even the high-end Nvidia GeForce GT 570M. FIFA 12 was clearly made to be playable on as many systems as possible, but the latter will definitely be a great benchmark for mid-ranged laptops in the future. 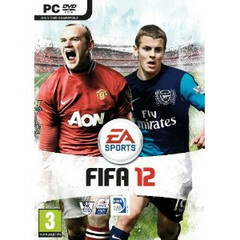 The Formula One racer is now available in stores whereas FIFA 12 will launch worldwide later this week. For more details on our benchmark results, see here for our F1 2011 data and here for FIFA 12.